Because the Senate amended the House-passed version of H.R. 5895 with its own version of the bill, we've transferred our summary of the House-passed version here for your reference. This bill would combine three of the 12 annual appropriations bills into one $145.4 billion “minibus” funding bill that’d provide funding for military construction & veterans affairs, energy & water development programs, and the legislative branch. The fiscal year 2019 funding totals for each section would be: $96.9 billion for military construction & veterans affairs; $44.7 billion for energy & water development programs; and $3.8 billion for the legislative branch. A detailed summary of each section can be found below. This section of the bill would provide $96.9 billion in total funding — up $4.2 billion from the prior year — which includes $921.4 million in Overseas Contingency Operations (OCO) funding. Funding for the Dept. of Veterans Affairs (VA) would total $194.5 billion in discretionary and mandatory funding — up $9 billion from the year prior. Of the total, $85.3 billion would be discretionary spending, an increase of $3.9 billion from fiscal year 2018. VA Medical Care: Funding would total $71.2 billion to provide for about seven million patients in FY19, including: $8.6 billion for mental health services; $196 million for suicide prevention outreach; $7.4 billion in homeless veterans treatment, services, housing, and job training; $589 million for traumatic brain injury treatment; $387 million for opioid abuse prevention; and $270 million in rural health initiatives. The new VA electronic health record system would receive $1.2 billion in funding to ensure the completion of the contract creating identical electronic record systems for the VA and Dept. of Defense. 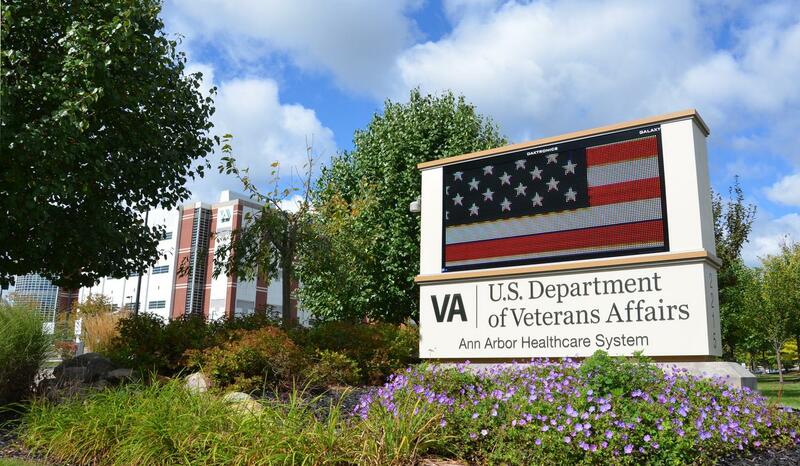 $53 million above the Veterans Benefits Administration’s budget request to speed the processing of the backlog 450,000 veterans waiting on disability claims. Funds would be used to hire additional staff, pay overtime, and pay for the digital scanning of health records. $1.7 billion in major and minor construction within the VA in addition to $2 billion for infrastructure repair, $750 million of which is targeted to seismic corrections. $76 billion in advance fiscal year 2020 funding for veterans medical programs to ensure veterans have continued, full access to their medical care needs. An additional $74 million for planning, design, and construction of the southern expansion at Arlington National Cemetery, bringing the total to $145 million. A total of $10.3 billion would be provided for military construction projects, an increase of $241 million from FY18. An additional $921.4 million in OCO funding would be provided for projects in countries with ongoing U.S. operations and the European Deterrence Initiative.. Funds would go to the construction of 147 military construction projects across the country and overseas including operational facilities, training facilities, hospitals, family housing, National Guard readiness centers, barracks. $1.6 billion to fund the construction, operation, and maintenance of military family housing — an increase of $173 million from FY18. A total of 1.4 million military families are served by the program. $361 million for construction and alterations for new or existing military medical facilities to ensure the continued support and care for 9.8 million eligible beneficiaries. $368 million for safety improvements and infrastructure work at four DOD Education Activities facilities within the U.S. and overseas. $467 million for the construction or alteration of Guard and Reserve facilities in 20 states and territories. $171 million for infrastructure necessary for the NATO Security Investment Program’s wartime, crisis, peace support and deterrence operations, and training requirements to counter threats from Russia, the Middle East, and North Africa. This section of the bill would continue the prohibition on the closure of the Guantanamo Bay Naval Station and prohibit funding for the any facility in the U.S. to house Guantanamo Bay detainees. It’d also provide $69 million to build a new high-value detention facility at Guantanamo Bay. This section of the bill would provide a total of $44.7 billion in fiscal year 2019 for national defense nuclear weapons activities, the Army Corps of Engineers, and various programs under the Dept. of Energy (DOE) — up $1.5 billion from the prior year. Nuclear Security: Funding for the DOE’s nuclear weapons security programs would total $15.3 billion, including: $11.2 billion for maintaining the safety and readiness of nuclear weapons; $1.79 billion for maintaining naval nuclear reactors on aircraft carriers and submarines; and $1.9 for defense nuclear nonproliferation activities. Energy Infrastructure Security: A total of $117 million in funding would be provided — up $41 million from FY18 — would be directed to research and development activities aimed at strengthening the security of the electric grid. Yucca Mountain: A total of $267.7 million would be provided to accelerate progress toward meeting the federal government’s legal obligation for nuclear waste storage, an increase of $100 million above the budget request. $3.3 billion for navigation projects and studies using the full estimated revenues from the Inland Waterways Trust Fund and $1.6 billion in funding from the Harbor Maintenance Trust Fund. $2.1 billion to support public health and safety by funding flood and storm damage reduction activities, an increase of $190 million above FY18 and $647 million above the budget request. Energy Programs: Funding for DOE energy programs would total $13.4 billion — up $504 million from FY18. That’d include $785 million in research and development into coal, natural gas, oil, and other fossil energy technologies; $1.2 billion in nuclear energy research, development, and demonstration activities; while energy efficiency and renewable energy programs would see funding decrease by $243 million compared to FY18. Environmental Cleanup: A total of $6.9 billion would be provided for environmental management activities, a decrease of $257 million from FY18. That’d include $5.8 billion for Defense Environmental Cleanup to cleanup sites contaminated by previous nuclear weapons production at Hanford, Savannah River, Oak Ridge, Idaho, and other DOE sites. Science Research: $6.6 billion — an increase of $340 million — would be provided for basic energy research, the development of high-performance computing systems, and research into next generation energy sources. Bureau of Reclamation: $1.56 billion — up $75 milion — would be provided for the Bureau of Reclamation to help manage, develop, and protect water resources of Western states. This would include $134 million for water storage projects authorized in the Water Infrastructure Improvements for the Nation Act. Repeal the Obama administration’s “Waters of the U.S.” (aka WOTUS) rule. Restrict the application of the Clean Water Act in certain agricultural areas, including farm ponds and irrigation ditches. Prohibit new nuclear nonproliferation projects in Russia without notifications from the Secretary of Energy. Allow the possession of firearms on Corps of Engineers lands. Prohibit federal funds from being used to operate the Columbia River hydroelectric dams in a manner that’s inconsistent with the Corps’ 2017 Fish Operations Plan. Federal courts ordered Federal Columbia River Power System (FCRPS) to do the opposite by increasing spill (ie water that flows around a dam’s turbines without generating power) to help migrating salmon. This section of the bill would provide $3.8 billion in annual funding for the offices of members of the House of Representatives, the support agencies of Congress, security and police forces, services for visitors, and Capitol operations and maintenance. That’d be an increase of $132 million from FY18. Capitol Police: Funding for the Capitol Police would increase by $29.9 from FY18 to a total of $456.4 million to ensure they can provide security for members, staff, and visitors to the Capitol Complex. Increased funding would go toward garage security and prescreening. Architect of the Capitol (AoC): Funding for the AoC would total $642 million — up $31.5 million from FY18 — with the increase directed toward health and safety improvements to aging or damaged facilities and address deferred maintenance. This would include $62 million for the continuation of the Cannon House Office Building, $32.7 million for the continuation of the Rayburn House Office Building Garage Rehabilitation project, and $10 million for the House Historic Buildings Revitalization Fund. Library of Congress: A total of $709.8 million would be provided for the Library of Congress — up $40 million from FY18. This would allow for enhancements to the public exhibits and visitor services and modernize technology within the Library, the Copyright Office, and the Congressional Research Service (CRS). Additional full-time equivalents would be hired for the CRS so it can be more responsive to congressional requests. Government Accountability Office (GAO): A total of $579 million in funding would go to the GAO, the same amount as FY18, to continue its oversight work with Congress to provide accurate, nonpartisan reporting of federal programs and tracking of taxpayer dollars. Funding would allow for 80 additional FTE for issues relating to cybersecurity, science and technology, Dept. of Defense programs, and healthcare costs. The Office of Compliance would receive $5.4 million to ensure employees know and understand their workplace rights and have access to a fair and navigable dispute resolution process. The Government Publishing Office (GPO) would receive $117 million while the Open World Leadership Center (OWLC) would receive $5.6 million, both totals the same as FY18. It’s not perfect, but this bill would fulfill Congress’s obligation to fund programs for veterans and military families, secure nuclear weapons, enhance water infrastructure & energy research, and keep the U.S. Capitol operating. While there may be parts of this bill that are worth enacting into law, it goes too far by cutting deeper into renewable energy and energy efficiency research while increasing research for fossil fuels and nuclear power. The CBO estimates that enacting this bill would lead to $137.7 billion in spending. The House Appropriations Committee approved the military construction & veterans affairs bill on a 47-0 vote, the energy & water resources development bill on a 29-20 vote, and the legislative branch bill on a 47-0 vote.